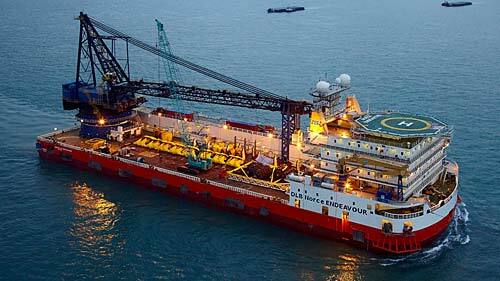 Following two years of successful operations, iSURVEY Pte Ltd, Singapore, has again been awarded a marine construction survey support contract with Solstad Offshore Asia Pacific for works onboard the DLB Norce Endeavour. Due to commence in March 2017, with options for extension in 2018 and 2019, the four month contract will see iSURVEY provide positioning and survey support to Solstad Offshore Asia Pacific’s 2017 pipeline and platform installation programme in Thailand. The workscope includes monitoring during jacket setting, together with final positioning, levelling and survey assistance during pile cut-off. Subsea positioning will also integrate with IKM Subsea’s Merlin work-class ROV during installation operations. iSURVEY Group is a provider of survey and positioning services to the global oil and gas, telecommunications and offshore renewable energy sectors. The Group operates from its bases in Aberdeen, Oslo and Singapore.